Mt Olymprov 2018 workshops announced! Sign-ups open March 8th! Mt Olymprov 2018 workshops announced! Sign-ups open March 8th! Mt Olymprov 2018 workshops announced! We are mere days away from opening up registrations for everyone. 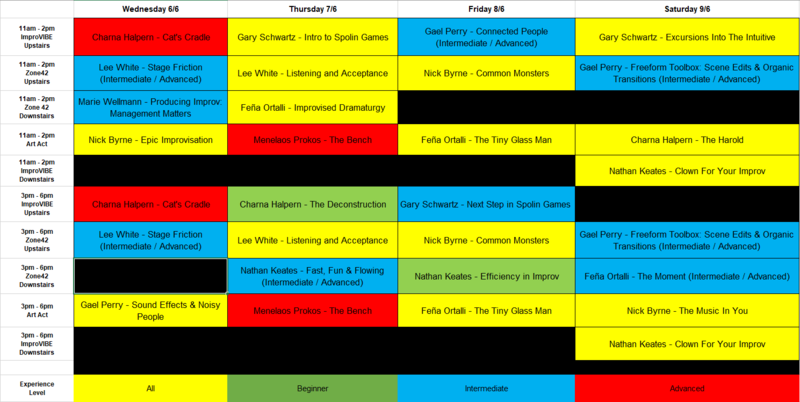 So, this seems like a good time to announce the workshop schedule. This should get you sufficiently hyped up and give you enough time to plan which workshops you will book. Be advised, book early! They tend to go fast, and with the stellar line up of instructors this year, we expect nothing less. Festival pass and workshop registrations open on Thursday 8th of March at noon EET!